Are you looking to make meal time a little more fun? 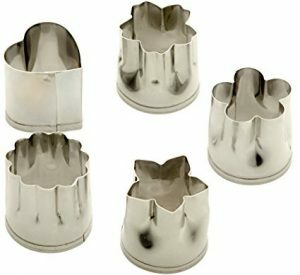 On Amazon right now you can get these cute StarPack Vegetable Cutter Shapes Set (5 Piece) – Mini Cookie Cutters, Vegetable Shape Cutters for Kids with 101 Cooking Tips for just $5.95 – a 54% savings! This set is part of Amazon’s Add-On Program and will ship free with a qualifying purchase.